I recently discovered The Vintage Cosmetic Company, the perfect website for anyone looking for the tools to create a vintage look. 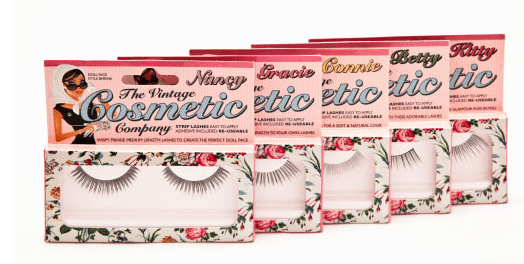 The company launched in may 2011 starting with their range of vintage inspired false eyelashes, with the success of the lashes other products followed. The company has gone from strength to strength ever since. The range consists of a collection false eyelashes, make-up brushes, tweezers and eyelash curlers. My favourite would have to be the eyelashes, there are five in the range all with pretty names to suit different types of girl; Betty, Connie, Gracie, Kitty and Nancy. They all vary in length and volume and I could quite happily own them all! Of course false eyelashes aren’t for every day so The Vintage Cosmetic Company also provides a fabulous eyelash curler which has quickly established a big fanbase, it comes in the prettiest of boxes and helps create the long curly lashes which every vintage starlet needs! After the success of the lashes and eyelash curlers the company introduced their distinctive stainless steel tweezers, I have a pair of these and they are fantastic. I love the cute floral design and the excellent quality. They work really well and are angled to tweeze even the shortest eyebrow re-growth. The next product launch was an amazing selection of make-up brushes, these perfect brushes have created a storm within the fashion and beauty industries. The quality of the brushes rivals some of the more established make-up brands and there is a tool for every kind of make-up. The best sellers include the blusher and foundation brushes. I’d recommend the eyeliner and lip brushes if you’re trying to create a vintage look. I couldn’t agree more. As a lover of vintage fashion, trying to recreate old fashioned glamour can take time I don’t have in my busy schedule and having beautiful tools to make the job easier is just perfect. 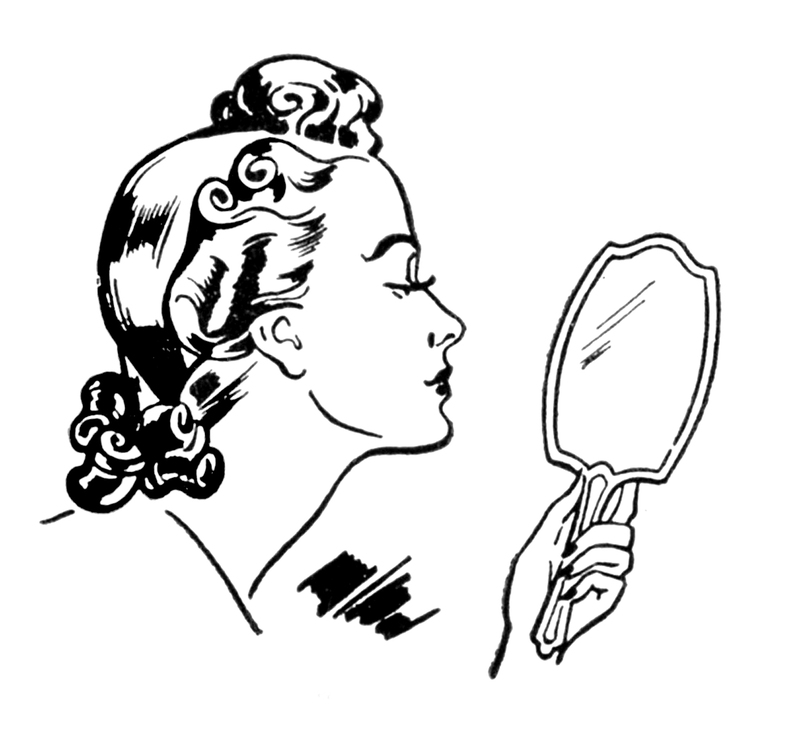 The Vintage Cosmetic Company list Sheree North, Gloria Grahame, Marilyn Monroe and Audrey Hepburn among their style icons as well as the stereotypical 1950s domestic goddess, and used them as their key influences when creating the range. The company is ever-increasing its range with some top-secret new products launching later in the year we’ll be keeping an eye on their site. They have also recently collaborated with Minnie’s Boutique as seen on The Only Way is Essex and are producing a limited edition lash as chosen by the boutique’s owners Sam and Billie Faires. The brand is available in around 45 different stockists ranging from high street retailers, boutiques and salons to online retailers. You can find a list of stockists here. They sent me a little goody bag with some products to try, and I will be adding my review later in the week. If you’s like to try some of the lovely products The Vintage Cosmetic Company are offering a 25% discount to my readers. Just enter the code VINTAGEFRILLSBLOG at the checkout to review your discount! Indeed i think you should – i think i will have to pop down to boots and get a pair not as gorg as those though obviously! 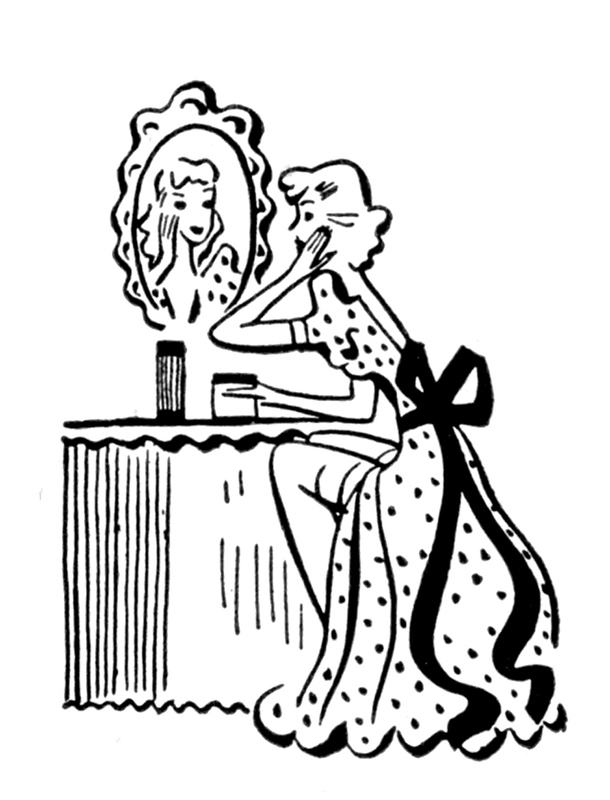 They do free next day delivery at the vintage cosmetic company!